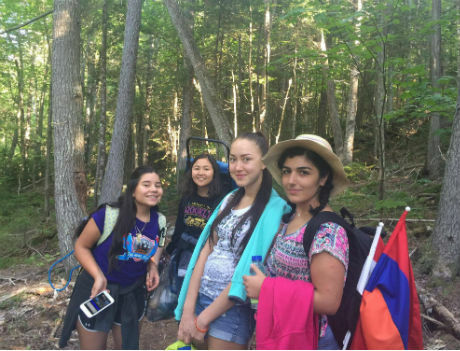 Our exchange student cluster took off for a hike over Labor Day weekend through Maine Huts & Trails. The path we selected through the organization’s trail system was 3.3 miles to a nice hut. The hut is “off the grid,” so my students learned what it was like to live off the grid, how they create their own power, and how they compost out human waste. It was very interesting. Our route there was also interesting. Although the hike was supposed to be 3.3 miles, our group of 11 took a wrong trail, hiking 3.5 miles before we learned we were lost! After hiking the 3.5 miles back to the beginning of the trail, the organization was nice enough to let us all drive to the hut! All in all, it was a long—but beautiful—day!